German mezzo-soprano Lioba Braun is recognized as one of the leading singers of the dramatic repertoire today. 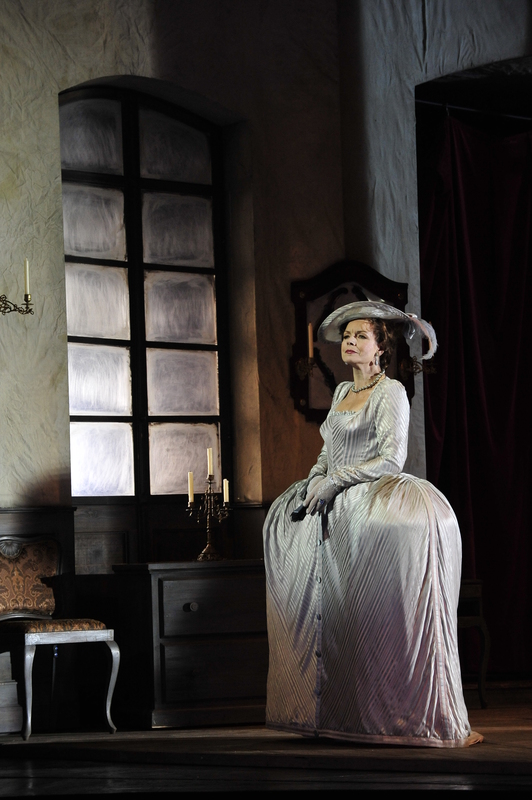 Following initial studies with Charlotte Lehmann, she sang in many of the leading German and Austrian theatres before joining the Nationaltheater Mannheim between 1993 and 2000. Since her international breakthrough as Brangäne at the Bayreuther Festspiele, Miss Braun’s career has taken her to most of the major lyric stages including the Scala, Paris, Florence and the Liceu. Her repertoire is immense and contains leading roles in operas by Verdi, Strauss and Wagner. 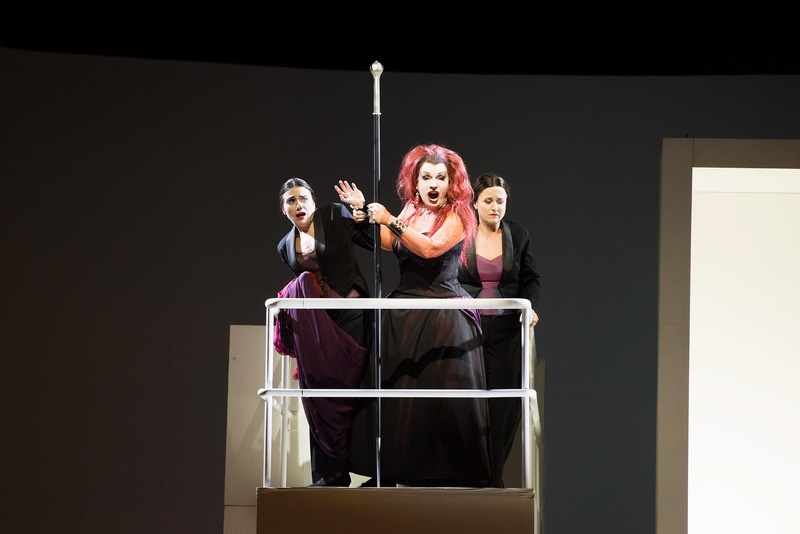 In addition to mezzo-soprano roles, she has also undertaken roles traditionally sung by sopranos, such as Isolde and the Marschallin. Miss Braun combines her singing career with a professorial appointment in Cologne. Recent, current and future engagements include Das Lied von der Erde in Israel, Klytämnestra in Lyon and Lisbon and Fricka and Waltraute in Odense. I caught up with Miss Braun by telephone from her home in Munich shortly after the Lisbon Elektra. Lioba Braun. Photo used with the kind permission of Miss Braun. Miss Braun, you have just returned from Lisbon where you sang Klytämnestra in an interesting semi-staged production of Elektra. Tell us a little about your experience of working on this show. Actually, for me, it only felt like a semi-staged production at the start of the evening – when we entered in evening dress, took a bow and sat down as if in a concert version. I think the idea was to show the evolution from semi-staged, sitting behind music stands, into completely becoming the character in the role. Indeed, for me as I started my scene it felt as if I was taking on my character in a fully-staged production and the difference between a semi-staged and a fully-staged production didn’t feel especially great at that moment. 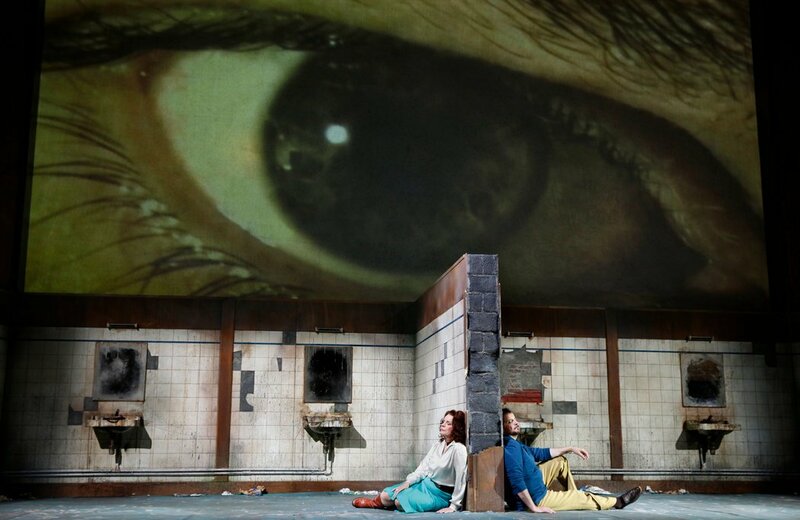 Certainly, as an audience member, your performance struck me as very vivid, believable and both scary and vulnerable. Yes, I think that Klytämnestra is not only a bad woman. She didn’t kill her husband like a contract killer, for example. She reached that point because she felt she had no other way, because she felt wounded by him. Her husband had been to war for twenty years and returned with Cassandra almost announcing ‘darling, from today onwards there are three of us!’ She was led to the point where she almost felt no other choice than to take the axe. This is always my way to perform a character, to find a way into understanding what had happened before and why a character feels the way that she does before the curtain opens. It’s the same with Ortrud. Ortrud isn’t only a bad woman, she had to lose a lot of very important things in her life. I’m happy if the audience can say ‘oh yes, I understand why she reacts in this way’, that they know what she is doing is bad but they understand her motivation. I always look for the backstory when approaching a character. How was it for you working in Lisbon? It’s a beautiful city with a big opera tradition, particularly if you look at who your predecessors were in the role there. The last Klytämnestra there was Martha Mödl in fact! It was a real surprise to me to work there and I have to say that it is, at the moment, my favourite city. I’d heard a lot about it in advance but I was just thrilled by the light there. There’s a special light in the city that’s quite magical. The people are delightful and the food and wine are excellent. It’s a perfect mixture and made for a really positive atmosphere to work in this theatre because everybody was dedicated to making the production a success. I felt very much at home there. The tessitura for Klytämnestra is relatively low but you’ve also sung some roles that are sung by sopranos, traditionally, such as the Marschallin and Isolde. Although Isolde, I’ve always thought of as something of a zwischenfach role for example. When you choose a role, what’s the thought process that goes into making that decision? First of all, I think it has to be a character that I can believe in, that I can identify with in some way. It should be something that fits for me. Not necessarily from outside – for example with the age of the character. A long time ago, the late Jeffrey Tate offered me Adriano in Paris and that was a role I found hard to feel anything for, so I turned it down. If the piece is by Strauss or Wagner, I’m quite sure I can find that connection there because the characters are very strong and it’s usually possible to find a way into the character and the role. Then the next question is the tessitura. You’re right in that Isolde is quite zwischenfach in the same way as Kundry or Ortrud – one of my favourites – and Klytämnestra is very low. I actually started with Erda and over time the voice has come up although the high notes were always in my body. Over time, I’ve worked and in fact I’m still working with a wonderful teacher, Professor Josef Loibl, to get feedback. In my opinion, you need to have some kind of control from outside, someone you can trust who will always be clear with you and who is comfortable saying to you that a performance wasn’t very good and is able to give reasons for that. I learn every time I work with him, I’m still learning, and it’s fascinating. Last year, I sang my first Klytämnestra and this time around I could feel the muscles reacting in a different way because now the role is truly in my body. It takes time to come close to that feeling. As Venus in Madrid. Photo: © Javier del Real. The high notes you said were always there, how did you work them in so that the voice became completely connected? The first step was my pregnancy. After the birth of my son, I suddenly found I could handle the high notes better than before. I think that if you’ve given birth, then you can find another feeling for breath control. You discover more muscles inside and become more aware of the pelvic floor. I’ve always had the ability to float the voice higher up and I’ve always had the low notes. It’s been a constant journey for me to sing in a way that I understand my instrument. Even when I sing Klytämnestra, I don’t lose the high tessitura. I wouldn’t like to sing Isolde the next day because with Klytämnestra you are mostly in the lower part of the voice. I think you have to constantly work to make sure that both ends of the voice stay connected. My whole singing life has involved working on technique and every new role is a new challenge. This I find really interesting and I love it. How do you move from the point of wanting to sing a role to getting the engagement to sing it in a theatre? I think there are two sides to this. There are the roles that you want to sing but then there’s the fact that they have to be requested by the market so that opera houses can say ‘yes, she’s the right singer for this assignment’. I sang a lot of Isoldes in the last few years and I can’t imagine that casting directors would say as a result ‘oh, she can sing Klytämnestra’. The idea has to come into the consciousness of those who decide you can do it. The idea of a fach is sometimes too strong. One needs to look at it very critically because every singer works in a different way. You also work as a professor in a very prestigious music school. How important is teaching to you? I’ve been so lucky throughout my whole life to have had teachers and coaches who supported me – and are still doing so today. I want to also be able to do that with young people, to open a door for them, to give them an input into their singing – it’s very important for me. I also think that I learn more about my own singing by explaining things to my students. At the same time, I need the stage and I would go crazy if I were teaching all the time! As with everything, it’s about finding the right balance. There are times that one finds students with quite wonderful material but then you work with them as a person and nothing goes on, because the raw material is fantastic but the personality doesn’t come through. You need to have passion for this profession, a joy that comes from inside. I find that young people between the ages of 19 and 28 are going through quite a formative part of their lives because they are searching in a special way to find themselves. It’s so interesting because sometimes, if you work on the diaphragm or on the breathing, you’ll suddenly find that students have images enter their minds from their families or their youth. You need to have a lot of patience but if you go on this journey, suddenly something happens with the voice. Not everything is technique or muscles – the soul has to also come along. I think we also have to be clear with young people that if we come to the point that you can see that this will be someone who won’t be able to make it in a professional way, you have to have the honesty to say it. I think a lot of colleagues are afraid to do so because it’s hard to look someone in the eyes and tell them that they have wonderful material but they are not strong enough. I’ve had to do it a few times and of course they were disappointed but I think we really do have to prepare young people better for this business – because it can be a cruel business. I think we also have a lot of singers who are not bad but are also really not very good. Even once you reach your prime and are singing in big houses, you still have to constantly aim to become even better. You won’t be successful every time because nobody is – singers are human – but I think it’s our responsibility as artists to always aim to reach a certain level. What I’d also like to say is that to be a successful singer, one needs to be able to work in a team. Sometimes you’ll work with a director who makes you crazy but you can’t leave the production because you want to sing the role – you need to find a way to work together. As the Marschallin in Leipzig. Photo: © Andreas Birkigt. While you were in Lisbon you did a masterclass with young singers. We talked about you having your own permanent students who you work with over the long term but you also do masterclasses where you work with someone for a very short time, say twenty-five minutes. What do you try to achieve in this time? I’ve been working on Feldenkrais since the start of my career and it has helped me to create a way of establishing where the problems are – for example, if the breathing technique isn’t working. Often when I hear a singer with a big problem, it’s actually my body that reacts and tells me where it is before my mind. I can feel in my body where things are going wrong. Not in every case, perhaps, but that’s usually what happens. With that in mind, I can give singers examples of where they might have tension or where they’re opening their mouths too much, for instance. Honestly, you see the mistakes are often the same everywhere in the world. Usually it comes down to having a lot of tension in the instrument. Every part of the body is connected to another. If you have tension in the feet, you can feel it in the throat. If you have tension in the shoulders, you can feel it elsewhere. What you need for this profession is a kind of trust so that the voice can flow. What was the moment when you felt that you had truly broken through as an artist? We were having a party at home with some wine and the phone rang. My husband came over to me and said ‘it’s the Bayreuther Festspiele’. At first, I thought he was joking but it was, in fact, Bayreuth and they asked if I could sing Brangäne there the next day. Up until that point, I’d only sung it twice. We sent everybody home and I agreed to go. I met Daniel Barenboim there and it was such an important experience for me. I learned so much from him to build phrases, to see where the energy is going, to build climaxes. I was very lucky to have had that experience. From there my international career took off and I went on to sing at the Scala and other major theatres. It was wonderful. If you can have a platform such as this to jump in and prove to everyone what you are capable of, it’s a major opportunity. 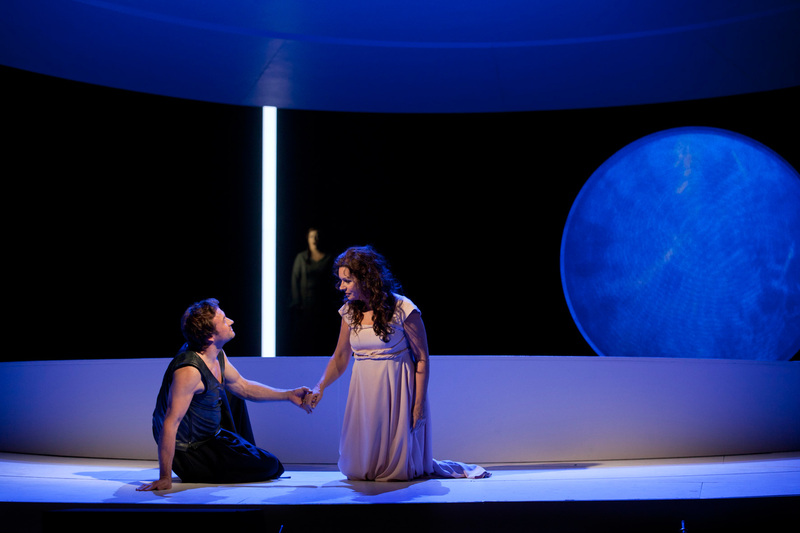 As Isolde in Nürnberg. Photo: © Ludwig Olah. In fact, you’ll be returning to Wagner soon with Fricka in Odense. What else can we expect from you looking ahead? Yes, we are doing the whole Ring and I’ll also be singing Waltraute in Götterdämmerung there also. The last few years I sang a lot of Isoldes, for example with Zubin Mehta in Florence and I also did Amme in Die Frau ohne Schatten with him there. I also feel very comfortable with these lower roles, such as Klytämnestra – and I would like to build these up over the next few years. 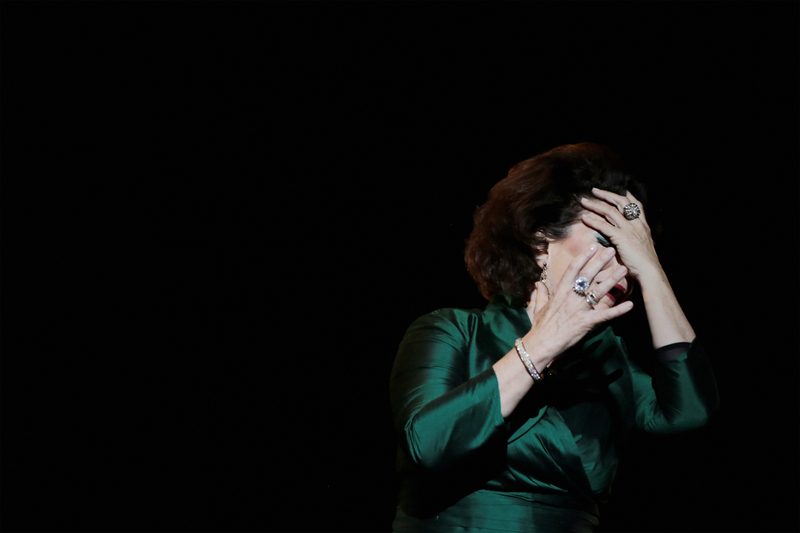 I love singing Ortrud – I love this hysterical woman and the high notes are no issue for me. When I was in Mannheim, I sang a lot of the Italian repertoire and I would certainly like to sing more. I did a Zia Principessa with Andris Nelsons for a recording and it’s a role I love. I’ll also be continuing to work with the students in my studio in Cologne where I have around 10 students. I believe that everybody is unique. For me, it’s very important to be authentic – not only on stage but also in life. I think the audience has to believe what we are doing and I want to help to transport them.